In general, our garden is our bird feeder- we planted native plants and created habitat to suit birds' primary food- insects. And it has worked well, though it is not your traditional "birder's garden". I feel like I have written this post before (and probably better), but it is a good reminder this time of the year. For several years I have had mixed feelings for bird feeders, and I have stopped using bird feeders through summer, spring and fall. I have stopped using seed feeders altogether, and occasionally and seasonally use different forms of suet feeders (see below), including native plant suet we prepare ourselves (click here). 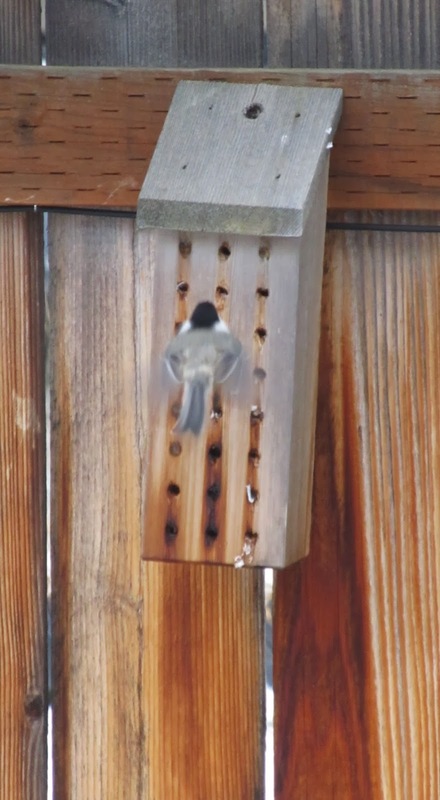 Our goal is to make our garden our feeder by planting native plants and providing habitat and this sustains a variety of birds, insects and other wildlife. This has been our goal, and even in a small, city lot, you can have success. Our giant ant hill in our front yard is a Northern flicker's favorite. 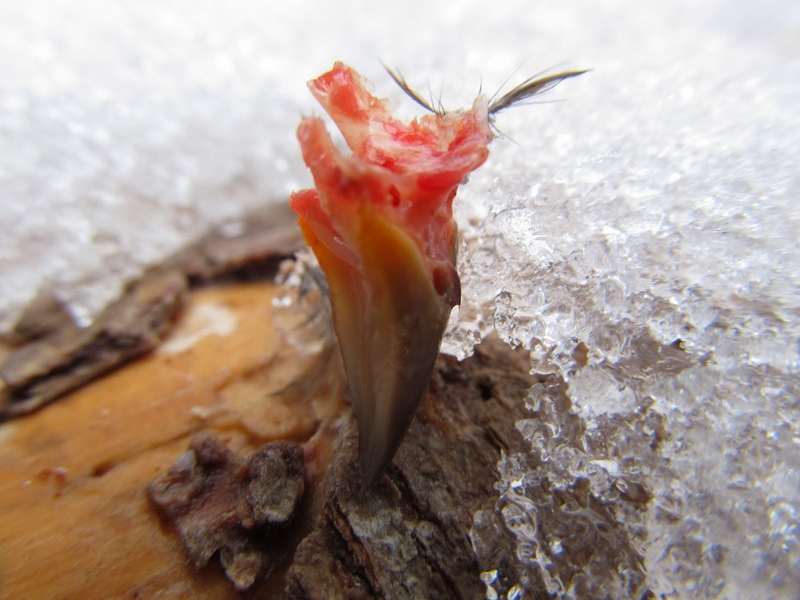 Through the winter, flickers dig this up for tasty grubs (and defenseless slow moving adults in the cold). 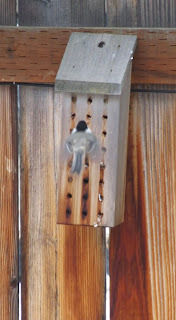 In winter, we add some feeders for birds, but not the typical ones people are used to seeing, though non-traditional feeders, yet they are more natural. for example, my favorite, carcasses. These parts and pieces are left overs from butchering our game meat during hunting season. 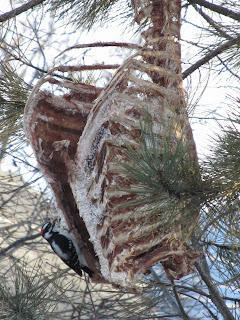 Although the aesthetic might not be for everyone, carcasses (from winterkill, and predator kills) are the original suet feeder (click here for more information). Even a little scapula can be an enticing feeder for chickadees, nuthatches, flickers, and downy woodpeckers. But perhaps more important in our garden are the natural and original nest boxes- snags. Birds are a source of food too. 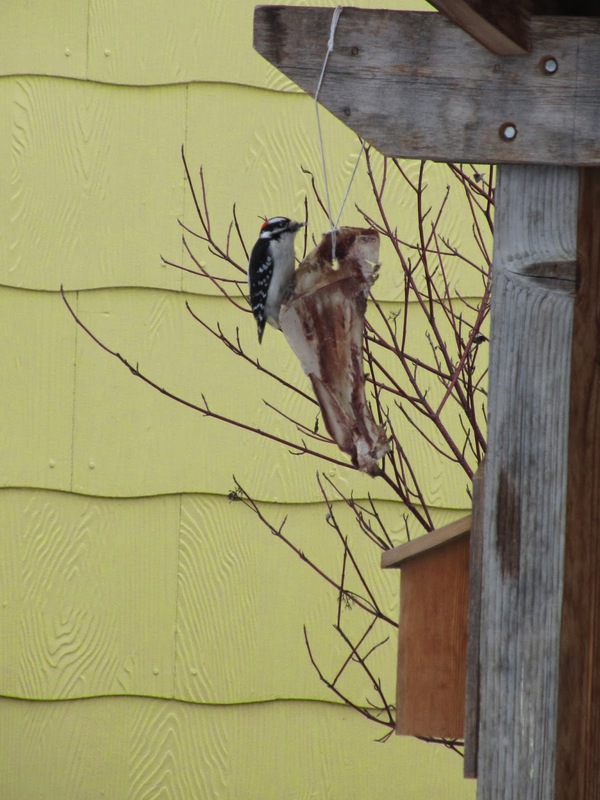 With a lot of birds around, come things that eat them. 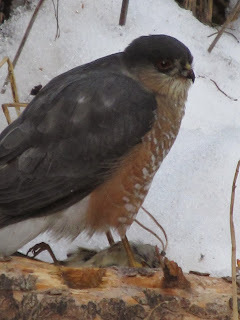 Here a sharp-shinned hawk eats a cedar waxwing in our garden. So this winter, consider your feeders, and perhaps shift to some natural or unconventional feeders. 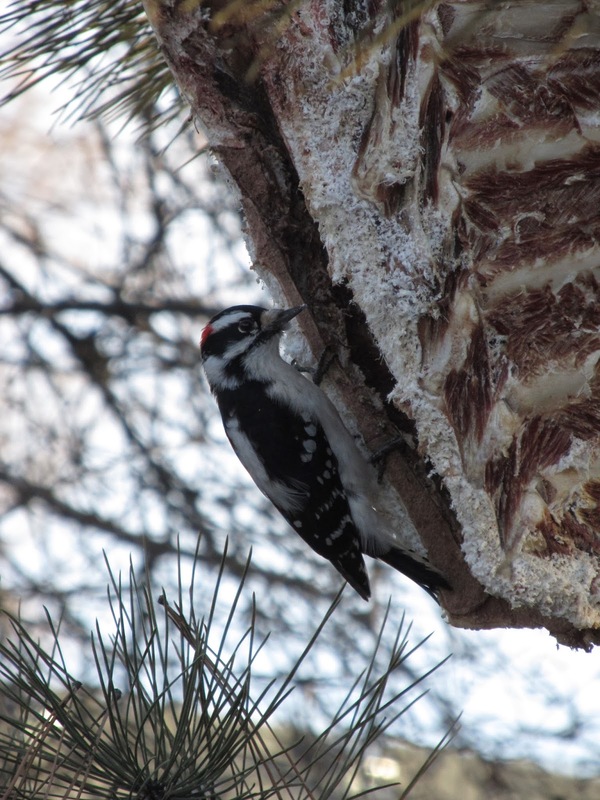 Feeding birds is a lot more than seed feeders, and it is a lot more effective with non-traditional means. Very impressive! And you get some great bird pics. Ha! Thanks for explaining what emptied out the cells of my orchard bee condo complexes this fall! In future years I'll guard them with screening.